David Bielkheden (17-10) has had one of the most unique MMA and grappling careers, competing at a high-level since the late 90’s with pro MMA bouts in 10 countries and stints in Pride and the UFC. One of the pioneers of Nordic MMA, the Swede will be turning 33 next week, but the “Brazilian Swede” doesn’t want to look back. The Brazilian Top Team and Hilti Stockholm fighter is marching forward, and looks toward a victory this weekend in Dublin against local welterweight Cathal Pendred (9-2-1) at Cage Warriors FC 47. Saturday night’s fight will be shown live on MMAJunkie.com. 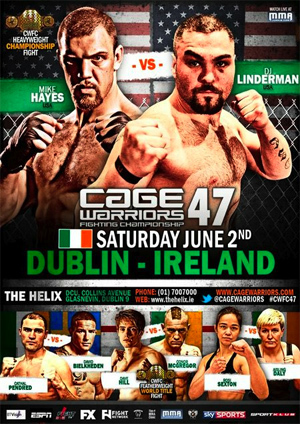 It will be Cage Warriors seventh show of the year, CWFC 47, which takes place at The Helix in the Irish capital. 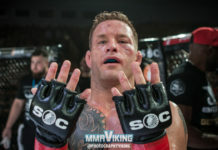 MMA Viking talks to the veterans about his vast career, starting with bouts at FinnFight to the back-story of his call-up to the UFC on short notice against Diego Sanchez, and his fight this weekend. 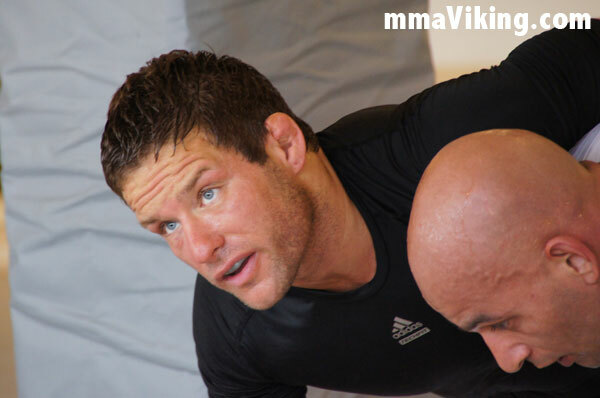 Learn more about one of the fighters that has taken Swedish MMA to the levels it is today. Am looking forward to having David back on Cage Warriors, he put two of his most devastating performances inside the CWFC back in 2005 and 2006 and it’s great to have him back. I think this will be an interesting match-up as Cathal Pendred is looking to step-up to the next level and already holds belts on the local domestic circuit and has been looking to face a UFC/Pride veteran to further boost his profile. Whilst I still believe that David has a lot to offer in the European scene and has all the tools to be a real contender again at 170 lbs. The headliner is the newly crowned heavyweight titleholder Mike Hayes (18-4-1) who rematches fellow American D.J. Linderman (11-3). 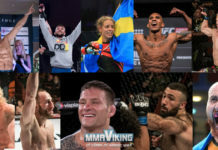 The main-card stream begins at 4 p.m. ET/1 p.m. PT (22.00 Stockholm / 23.00 Helsinki) on MMAjunkie.com following three prelims on Cage Warriors’ Facebook page. Visit David’s popular blog (in Swedish) at FightPlay.tv.